On the 15th March, 2019， with the invitation of the Yunnan Normal University (YNNU), under the leadership of Mr. Roger LI, President of AEMG and Mrs. Jenny WANG, Director General, AEMG Delegation visited the main campus of YNNU in Chenggong District, Kunming. They were warmly welcomed by YNNU President Yongwen JIANG, Vice President Youde WU and Vice President Zongli LIU – who were on behalf of the University. 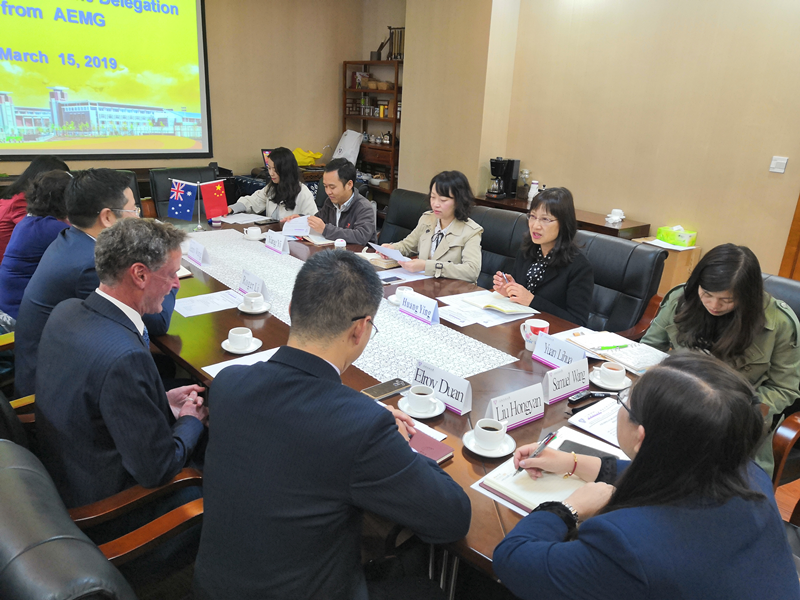 Led by YNNU Vice President Wenli DING, the representatives from the university’s International Cooperation Office and Administration Office joined the formal meeting with AEMG Delegation. During the meeting, the two parties had a detailed consultation on the development of the present programs and reached a broad consensus. Both the University and the Group believed that a long-term cooperation in a new education area would be achieved in future. This visit has established a closer partner relationship between AEMG and YNNU with a deeper mutual understanding, which sets a necessary foundation for new cooperation opportunities of the two sides.